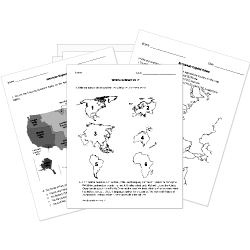 This test features questions modeled after PARCC Grade 5 Mathematics items. Use Test Room to administer these tests for computer-based assessment practice. 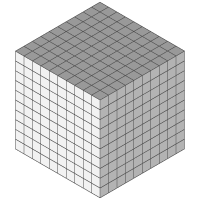 The right rectangular prism shown is made from cubes. Each cube is 1 cubic unit. What is the volume, in cubic units, of the right rectangular prism? The right rectangular prism shown is made from cubes. Each cube is 1 cubic centimeter. What is the volume, in cubic centimeters, of the right rectangular prism? What is the volume of the rectangular prism in cubic units? 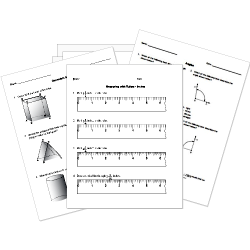 What is the volume of the rectangular prism in cubic centimeters? In this right rectangular prism, each small cube measures 1 unit on each side. What would be the volume of a new right rectangular prism that has 6 fewer unit cubes than the original prism? Select the description that could be the dimensions of a new right rectangular prism that has 6 fewer unit cubes than the original prism. In this right rectangular prism, each small cube measures 1 centimeter on each side. What would be the volume of a new right rectangular prism that has 15 more unit cubes than the original prism? Select the TWO expressions that could be the dimensions of a new right rectangular prism that has 12 more centimeter cubes than the original prism. [math]*[/math]What is the volume of the prism? [math]*[/math]Explain how you found the volume. You may show your work in your explanation. [math]*[/math]What would be the dimensions of a new right rectangular prism that has 100 fewer unit cubes than the original prism? [math]*[/math]Explain how you determined the dimensions of the new right rectangular prism. Enter your answers and your explanations in the space provided.